Mr. Rabbit wanted to read his favorite fairy tale, The Snow Queen. But suddenly all the words flew out of his book! Form all the broken words to tell him his adored tale! 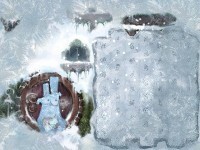 Mr. Rabbit wanted to read his favorite fairy tale, The Snow Queen. But suddenly all the words flew out of his book! Help him to gather all letters and put them into the words to tell his favorite story. But aware of bewitching! Some letters are frozen into ice! 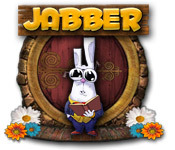 Tell someone about Jabber Game! livKqa Im obliged for the blog post.Thanks Again. Cool. SZ4oLa Im thankful for the blog.Much thanks again. Really Cool. Ok I have another dliemma for you that maybe others are too embarrassed to share....where do hangers live at your house??? I clean them out of the closets (cause I can't stand them taking up space if there are no clothes hanging on them). I do not have a designated space for them in the laundry room (not yet anyway, undergoing never-ending, never gets done, renovations for 15 yrs) so they hang out in a spare laundry basket which really doesn't make me happy either. wDnyjN Fantastic blog article.Really looking forward to read more. Really Great. 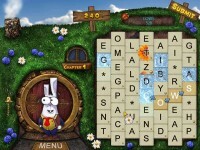 the rabbit looks delicious but word tiles looks more to me like a human ear cube-b-bah. if you will-l-l balieve i ate-t-t my monitor becauze of this game. Actally AS A BLOOD HUNGRRRY i love this game-m-mah!! 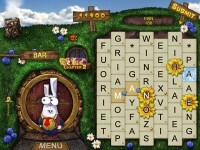 Words games are brain training fun!